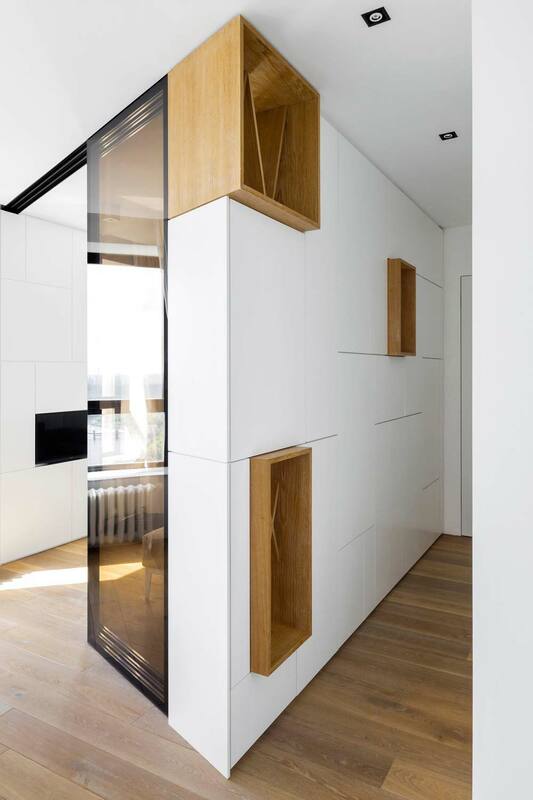 What is small, modern, beautiful all over, and full of storage? 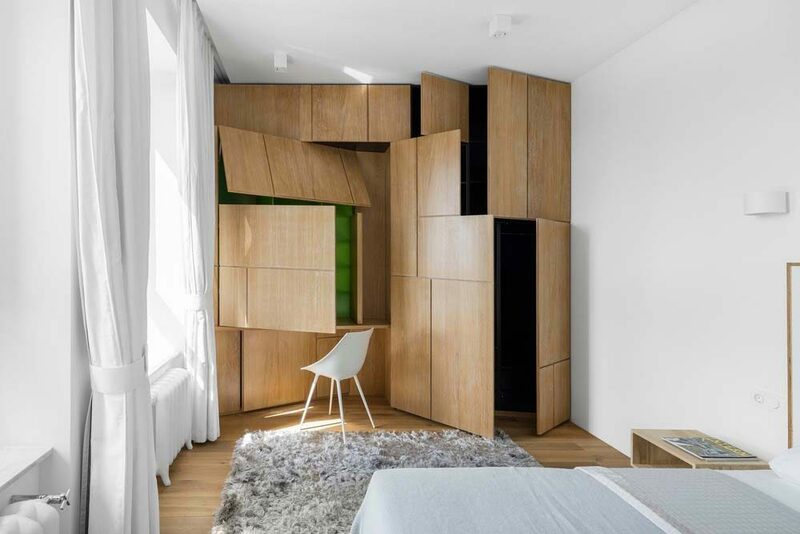 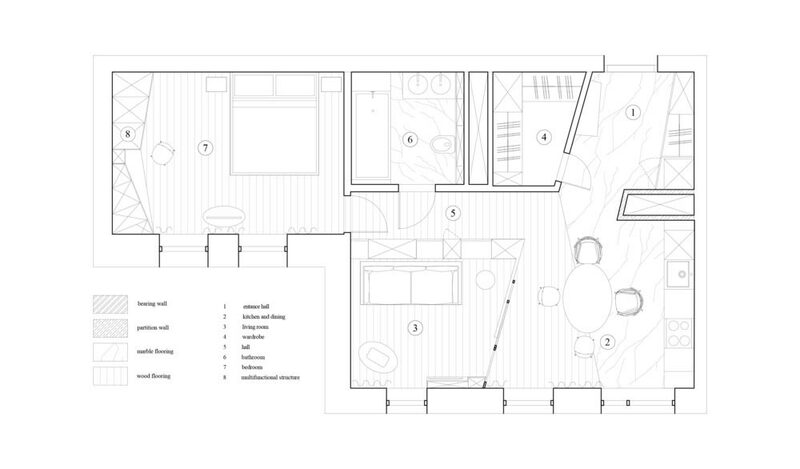 Why, this apartment in Moscow by Monoloko Design of course! 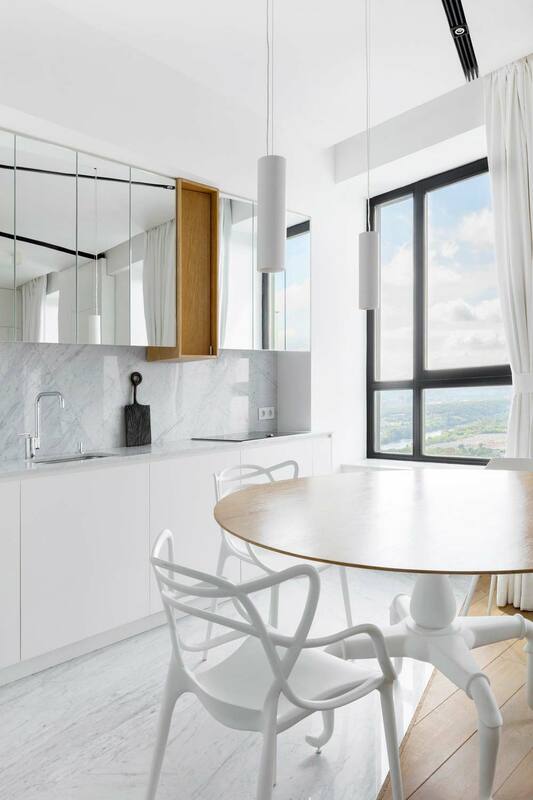 Not only is the interior of this home a gorgeous display of clean white lines and smooth wood finishes, but this Russian delight also hijacks the exterior scenery through multiple windows in the apartment, delivering a panoramic view of the river below. 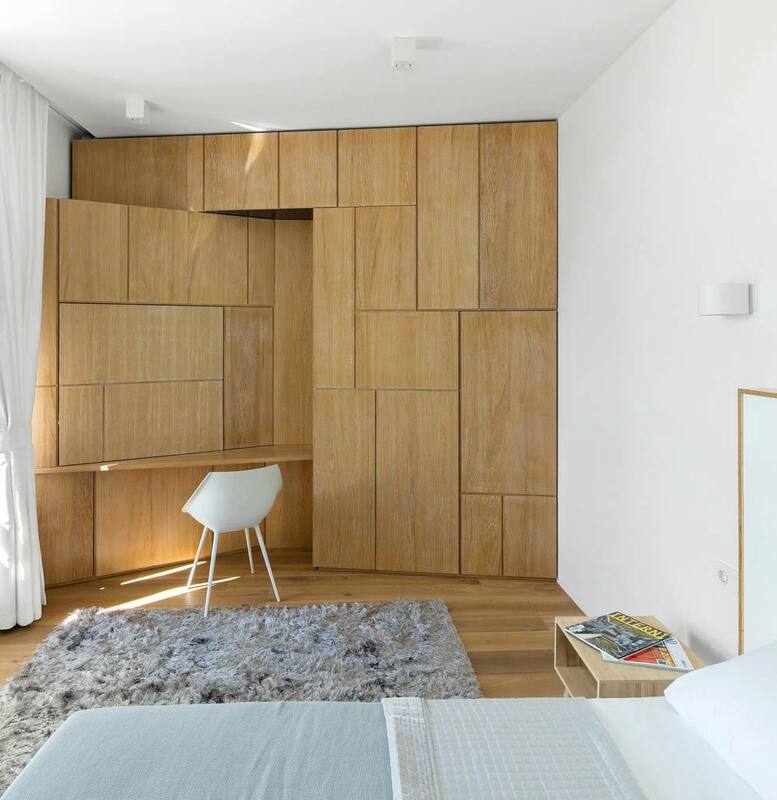 Minimalist in nature, the 60 sq. 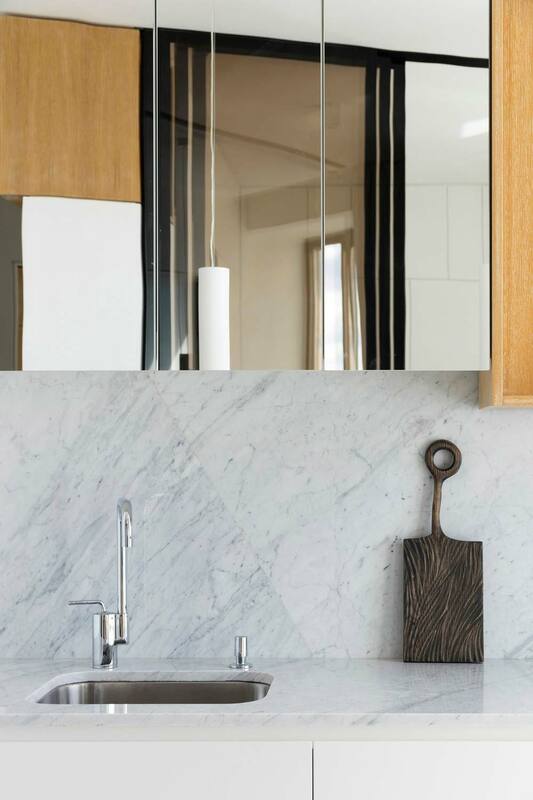 m space design throughout offers a crisp concoction of well-placed mirrors, white seating in the dining and office area, white rectangle paneled walls with custom inset wood display shelves – all melding nicely with the consistent natural wood floors and bright white walls. 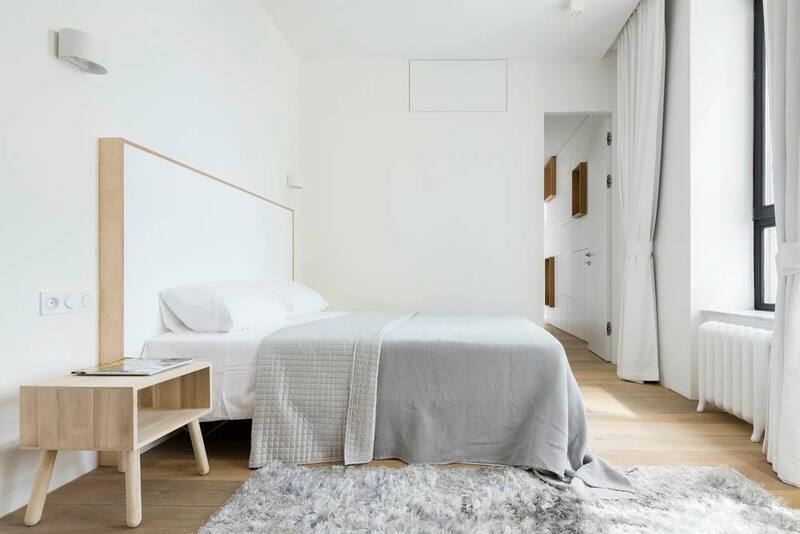 Custom made furniture by Monoloko can be seen throughout the apartment; such as the multi-functional grey storage sofa, along with living room partition wall, which is also a storage piece. 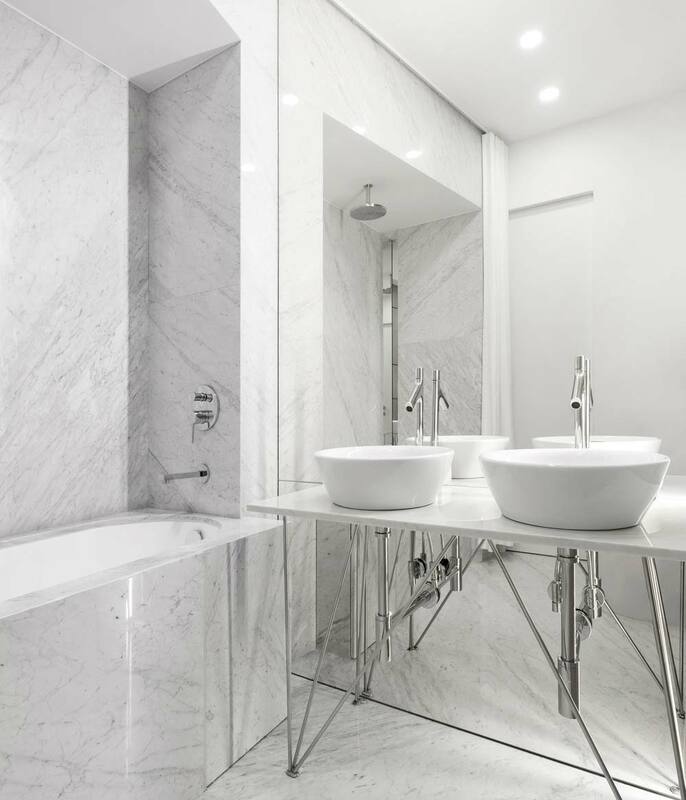 In addition, the bathroom dons dueling sinks set against floor to ceiling mirrors, set on chrome legs and nestled beside a grandiose marble tub and walk in shower – making this bathroom a stoic addition to the space while keeping it in-line with the interior’s simplicity. 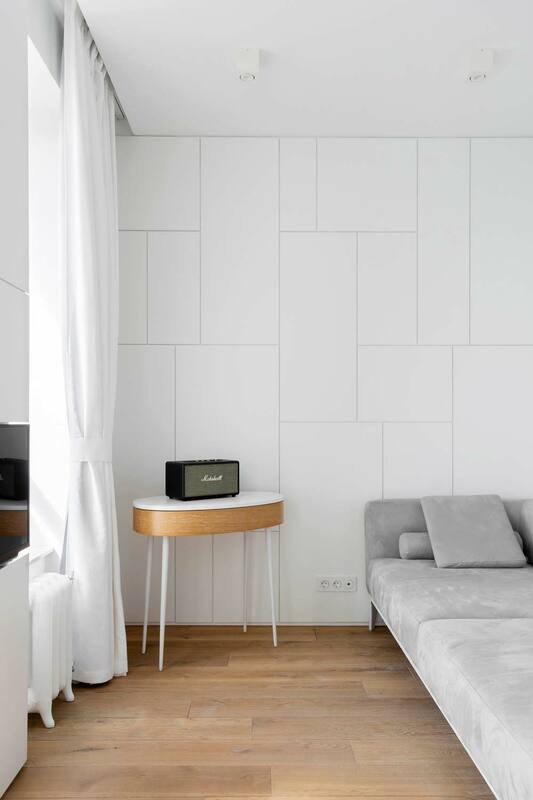 No matter which corner of this small apartment you wander to, it is a breath of fresh air wrapped in timeless appeal.